Cardiff Bus has introduced a smartcard to allow for cashless payment of fares and, after presumably forking out millions for some coke-fuelled image consultants to come up with the hilarious idea, they have given the “card” the squirm-inducing name “iff” – a piteous attempt to accrue illusory street-cred for a workaday municipal transport operation by latching on to the local txt-spk generation’s irritating affectation whereby the first syllable from place names is dropped (Newport = the Port, Cowbridge = the Bridge, Cardiff = the Diff, etc). A pal of mine was in the habit of doing it a few years ago and, to my partner’s great annoyance, it rubbed off on me. Ever partial to waggish word-play, I took to “ironically” decapitating any noun with more than one syllable, willy-nilly around the house. When I chirruped “it’s jet and zan flan for tea!” one evening (meaning courgette and parmesan), it was the last straw. I vowed not to do it again, and all was going well until the iff card arrived to provoke a foolish infraction involving the word “Suffolk”. To make amends I had to buy a round of drinks! Putting to one side their naff marketing, Cardiff Bus is an unsung and underrated Cardiff institution. It is one of the few publicly-owned bus services in the UK to survive the Tories’ 1985 deregulation of buses, the then Labour council setting up its own arms’ length company in 1986 (the use of the single noun ‘bus’ for the company name was an arch blunder of a previous generation of ‘creatives’), and is now the virtually unchallenged paramount operator in the city. There are many criticisms one could make: the noxious particulates and gases belched out by the diesel fleet; the dwindling of the service to derisory levels as soon as the sun sets; the complete lack of night buses; the ‘bus-hubs’ in all the wrong places; the reliably unreliable digital displays at bus stops; the waste of resources on gimmicks like bendy buses, TV screens and air-chill systems; the blatant class bias in operating practice that ensures those bound for the poorest areas must walk furthest to bus stops in the city centre and then ride on the least comfortable, oldest buses; the closure of depots at Clare Road and Newport Road in favour of one mega-depot in Sloper Road, causing wasteful empty running and easily-disrupted timetables; the interminable chaos of the central bus terminal redevelopment; and the bureaucratic rip-off of the ‘exact fare only’ policy – now at last considerably mitigated by the aforementioned iff card. However, the bus is far better than the private car as a means of getting around Cardiff. Less stress, less delays, less pollution, less noise, less accidents, less use of road space and less anti-social. What’s more, the company’s nominal public status and authentically local nature bring far more responsiveness and accountability than would be the case had the profit-hungry, bottom-line private operators taken over Cardiff’s transport system as in other cities. The LibDem/Plaid coalition at County Hall, supported by the sustainable transport initiatives of the Labour/Plaid coalition at the Senedd, have put a lot of resources into weaning people away from their cars and onto the buses, mainly by reconfiguring road layouts to give buses priority and setting up huge park-and-ride facilities on the outskirts of town. To a degree the policy is working, with passenger numbers rising steadily, but it can never be more than greener-than-thou posturing until the underlying issue is faced: the fact that economic and planning policies pull in the opposite direction. The neurotic obsession with never-ending growth (to ultimate ends that are never specified), the far-flung new suburbs marching up the mountains, the vast shopping precincts multiplying at traffic interchanges, and Cardiff’s position as over-heated, all-purpose destination for work, shopping and leisure for the most impoverished hinterland of any European capital; all these written-in-tablets-of-stone policies mean more car dependence, not less. An intelligent transport policy for Cardiff would firstly address the shrieking absence of a rapid, mass-transit, urban rail network, without which no city can be taken seriously. Not so very long ago Cardiff had more miles of railway track pro rata than any city in the world; but these were laid down to facilitate the movement of coal, not people. 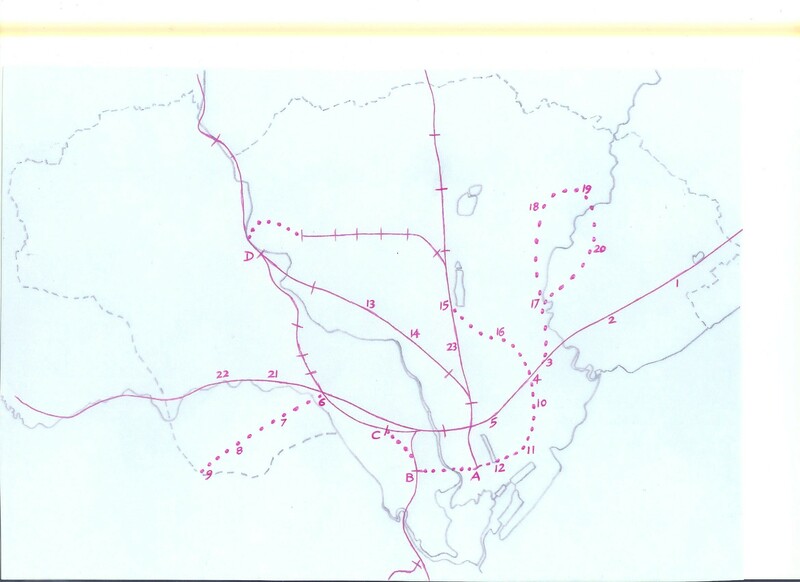 When the coal economy collapsed Cardiff was left with a superb rail infrastructure upon which a modern system could have been based, requiring only the missing orbital routes (coal traffic was all radial) and absent stations to fit the bill. But successive short-sighted councils allied to lack of Welsh autonomy and the UK-imposed fetish for the ‘great car economy’ saw the destruction and building over of much of the track. The result is today’s woeful farrago of a service, which could hardly be designed better to force people into their cars. It is extraordinary but true that there is not a single railway station east of Queen Street until you get to Newport, that the 30,000 people of Ely and Caerau have no railway service at all, that you cannot get a train from Cardiff Bay after midnight, that none of the paltry total of 15 suburban stations interconnects with any other, that there are still no orbital lines, that Valley Line trains are so infrequent rush-hour commuters are packed in like cattle, that the supposedly green Lib Dem-controlled council have seriously proposed dismantling the line between the city centre and the Bay because the embankment is an “eyesore”, and that miles of abandoned track beds have not been brought back to life. The ambition and reach of this sort of plan (precise route alignments and engineering requirements available on request), along with the provision of a comprehensive, safe cycle network, would be required for any bus improvements to have a lasting impact and for Cardiff’s traffic crisis to be tackled. There has been a 20% growth in car journeys in the last decade. Every day 115,000 motorists commute in and out of the city, a figure growing at 3% per annum, 50% above the UK average. Drivers can expect to spend 30 minutes at a standstill in every hour on the road, another unwanted UK record. All around the city are notorious bottlenecks where chronic delays are guaranteed, producing more air particulates than any other UK city bar London and Nitrogen Dioxide levels far in excess of maximum safety recommendations at hot-spots like Manor Way, Newport Road, Western Avenue, Cowbridge Road and Cardiff Road. Little wonder then that respiratory disease mortality rates and childhood asthma rates are among the worst in Europe. A city that was once compact, localised, proportionate and pedestrian-friendly has rapidly become an unviable tangle, deeply hostile to the 30% of Cardiffians who have no car. They can go hang, because Cardiff has an economy based on unrestricted and unregulated growth where collective interests are surrendered to the rampaging private house builders and supermarkets. ‘Out of town’ retail developments mean that local shopping streets have lost the butcher, the baker and the candlestick-maker and been abandoned to the estate agent, the tanning clinic and the charity shop, thus compelling even more to drive if they want so much as a light-bulb. Distant low-density speculative housing gobbles up the green belt and high-density apartments sprout in the inner city without consideration of the traffic consequences and without incorporating public transport, cyclists or pedestrians into the calculations. In places like Pontprennau and Cardiff Bay living without a car is next to impossible when many of the new link roads and roundabouts don’t even have pavements and any shops are in giant retail parks accessible only by car. On top of this, the stupid decision to turn central Cardiff into a cauldron of binge drinking and fast food, and the Bay into a consumerist playground for shiny, happy people, while cramming the calendar with a diminishing-return plethora of festivals and playing host to the sporting events of all and sundry, couldn’t have been more precisely calibrated to haul in further impossible volumes of traffic. The net effect of this slavish obedience to the dictates of Big Oil is that driving around Cardiff is now a horrible experience: north-south routes barely exist, east-west routes are tortuous, narrow streets designed for horse and cart are expected to take two lanes of traffic and frustration quickly becomes road rage (be particularly wary of Cardiff taxis: many are in the hands of violent psychopaths who insist on bossing the roads without let or hindrance). The council is being forced into action by the manifest chaos, but so far, as with the sprucing up of bus travel’s perceived low-status, it is merely a rearrangement of deckchairs on board the Titanic. From the silly ULTRA scheme of automated bubble-cars on a wobbly rail, abandoned after an 18 month feasibility study when any fun-fair would have rejected it outright, the 19 year wait and counting for the ‘missing link’ in the southern peripheral distributor road, the painfully slow and half-baked pedestrianisation of St Mary Street/High Street, through to the many mooted strategies (parking zones, congestion charging, road pricing, etc) gathering dust in the pending tray because the Echo doesn’t approve, successive councils flail for solutions in an attempt to show something is being done and invariably end up in a worst-of-all-worlds dither simply because they are blind to the real problem: the vainglorious intention to grow, grow and grow some more. 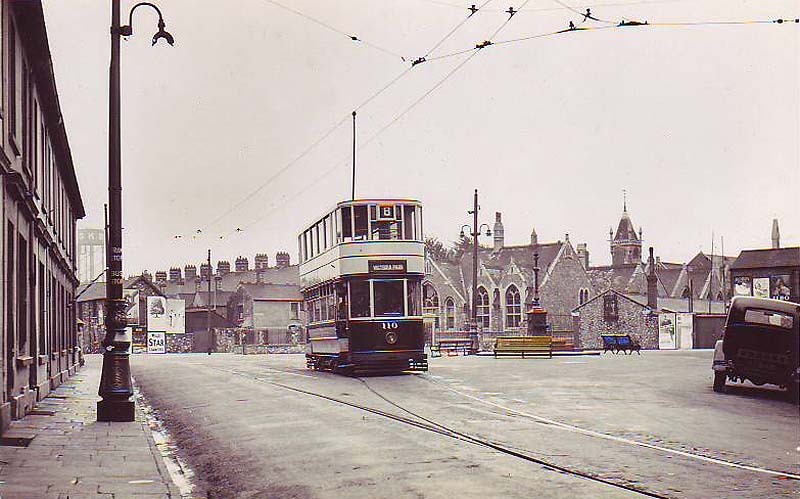 What is frustrating is that Cardiff once had a marvellous system of softly rumbling, non-polluting, very popular, comprehensive mass transport: electric trams and trolleybuses. And, as also happened to the magnificent Glamorganshire Canal, we threw it all away. From 1902, when the borough took over the operation of public transport from various private companies, to 1970, when the last trolleybus ran between Ely and Roath, Cardiff enjoyed 68 years of electric traction. In their maroon and cream livery the trams and then from 1942 the trolleys were an integral part of living in Cardiff; elegant double-deckers with twin spiral stairwells, drifting along key arteries and allowing citizens to hop on and off at their convenience for fares in fractions of old pence. Compared to today’s dirty, noisy, slow, vandalised, overcrowded buses, the trams and trolleys were inarguably superior; Cardiff has expended much effort going backwards. The Lib Dems who control the council would like to take us back further, to the 19th century when transportation was left to the vagaries of market freebooters. They make no secret of their long-term aim to privatise Cardiff Bus, but so far have been stymied by opposition from Plaid within the coalition and from the wider campaign to keep the company fully owned by the people of Cardiff. Their tactic will be the old ruse: starve a public asset of resources to the point where few are left to defend it, then flog it to the private sector to cherry-pick the profitable bits and close down the rest. 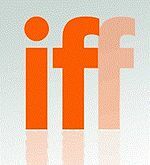 That is one hare-brained ‘what iff…’ Cardiff can do without. I’ve had this page open for a while thinking I would write a reply. But I can’t add anything useful just to say that this is a fantastic analysis. Thanks! I’m more of a train person so your map of the possibilities regarding rail (or light rail) is very interesting. I’m just wondering if anyone in the council has any vision regarding what could be done with public transport in the city. There have been various proposals for a light-rail system from Cardiff Council over the years, but they’ve all ended up in the filing cabinet marked “Won’t ever happen” due to lack of political will and lack of money. The ‘ULTra project’, a preposterous Toytown concept involving driverless bubble-cars on a wobbly monorail between Cathays Park and the Bay, was strangled at birth (the prototypes and a section of trial track can still be seen on the coast by Cardiff Heliport), and a plan for two lines running between Thornhill and the Bay and between St Mellons and Culverhouse X was mooted last year by the company Trampower, and that too is now gathering dust. The best hope lies with the National Assembly: transport is a devolved matter and the Assembly Government has shown it is aware of Cardiff’s congestion problems. The problem is the pitifully inadequate block grant from London.